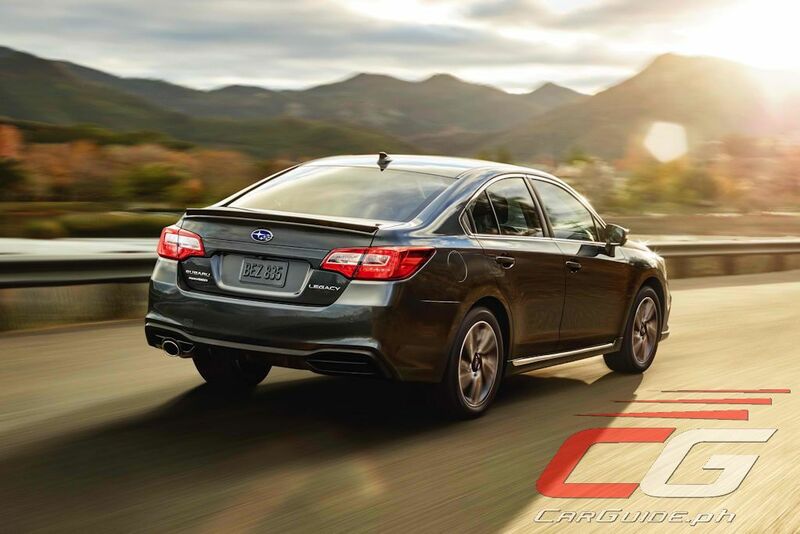 Subaru’s executive sedan, the Legacy, is getting a nip and tuck just in time for the 2018 model year. 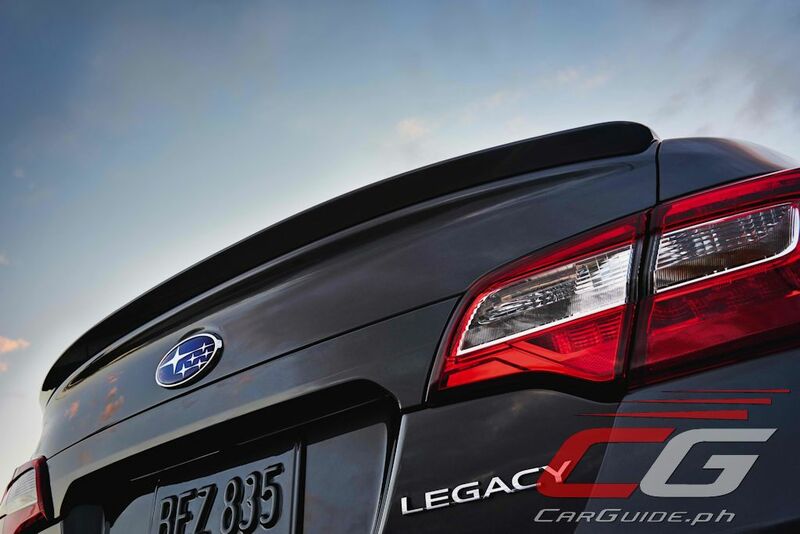 Featuring revised styling and improvements to comfort, safety, and infotainment, the Legacy is said to offer an enhanced overall driving experience. Though the Philippines will have to wait until the First Quarter of 2018 to get this new Legacy, it will be arriving in US showrooms by around the middle this year. 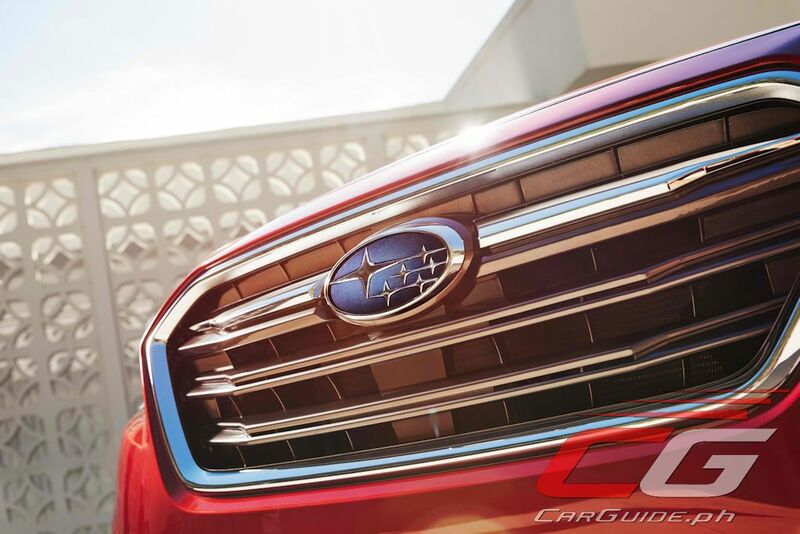 The Legacy wears a wider, lower grille and new front bumper that aligns it to Subaru’s new brand identity. The hexagonal grille with its distinctive wing element is flanked by C-shaped headlights that now protrude slightly from the grille. The headlights also now have the “Konoji” daytime LED running lights. 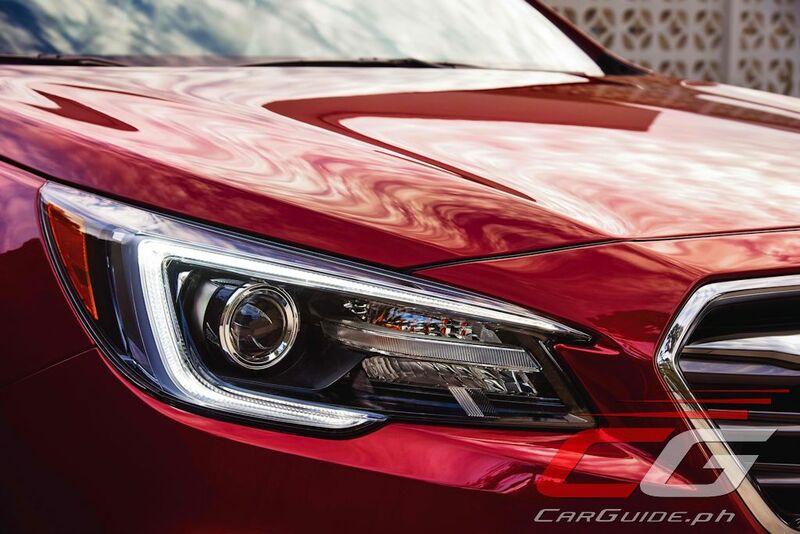 LEDs also make their way to the front fog lights while new wheel designs fill in the arches. At the back, the tailpipe is now integrated into the rear bumper adding a premium touch. 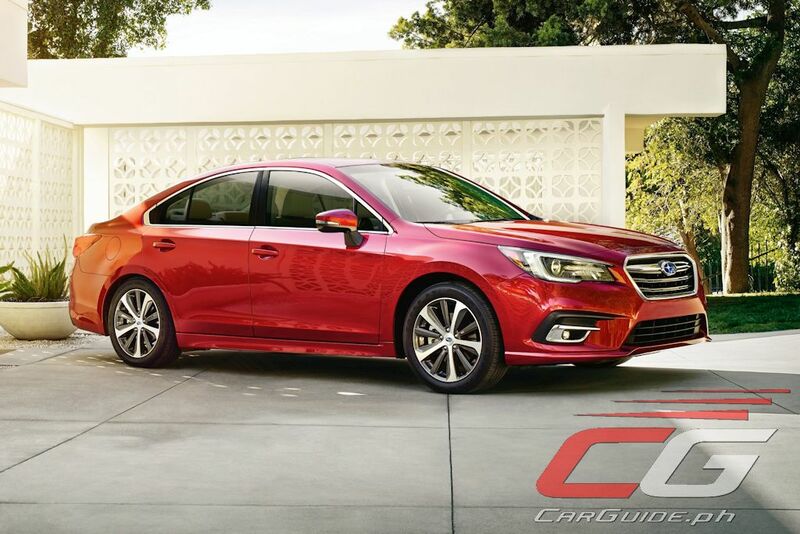 Under the hood, the 2018 Legacy continues with the same 2.5-liter 4-cylinder and 3.6-liter 6-cylinder engines. 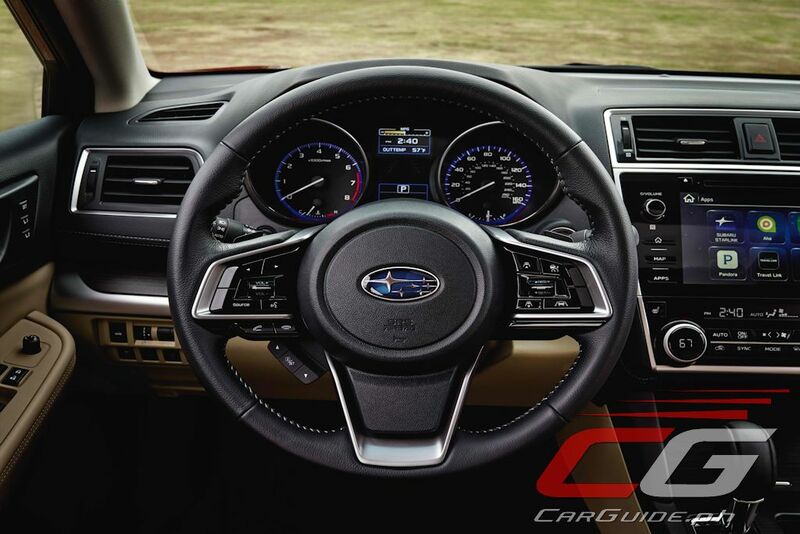 That said, Subaru has made improvements to enhance agility, steering and brake feel. The retuned dampers now reduce the initial impact of bumps while also reducing body roll through turns. The Electric Power Steering system has also been recalibrated to offer a more linear response while the brakes now have a firmer, more direct feel. Already known for its quietness, the 2018 Legacy gets improvements to improve cabin comfort even more. The Lineartronic CVT now uses a quieter ultra-short-pitch chain and adjustments have been made to engine timing under acceleration to further reduce powertrain noise. 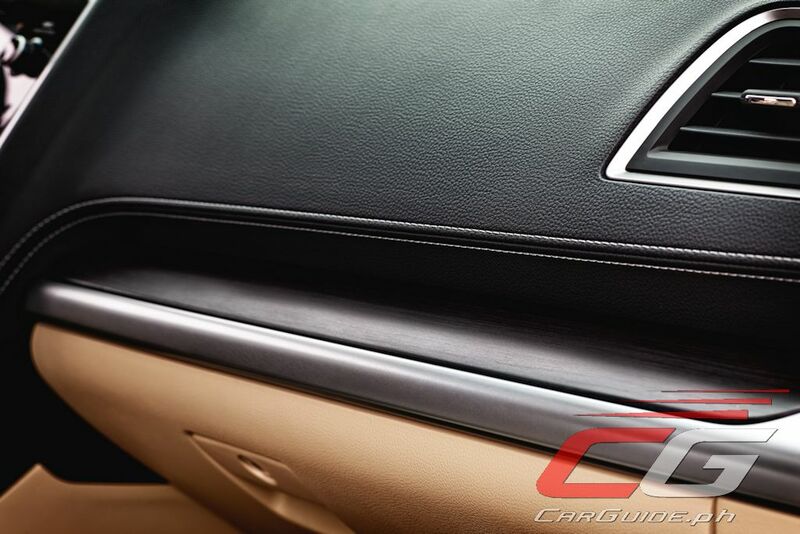 Reshaped door mirrors, a new sound insulating inner glass film on the front side windows, and thicker rear wheel aprons reduce ambient noise for all occupants. 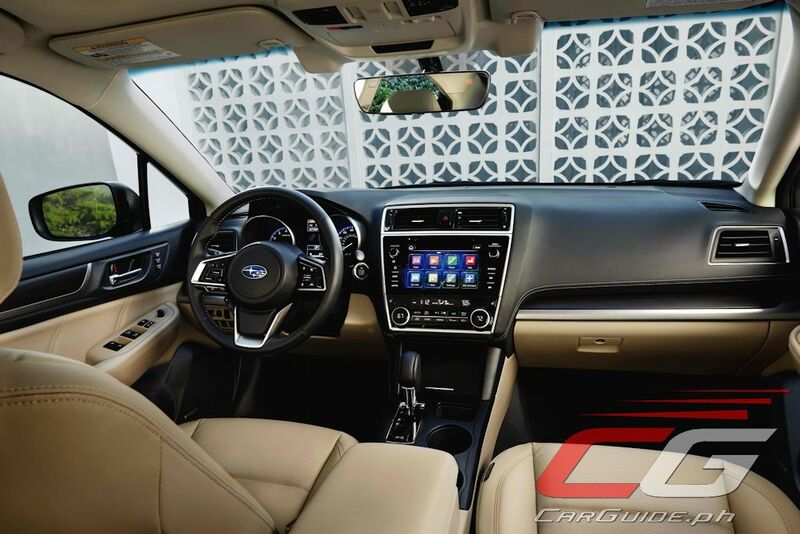 Inside, the Legacy benefits from more premium materials and a re-designed center console with an 8-inch touchscreen display. There’s real stitching on the dashboard and door panels along with high-gloss black trim and silver-colored bezels for the various controls. 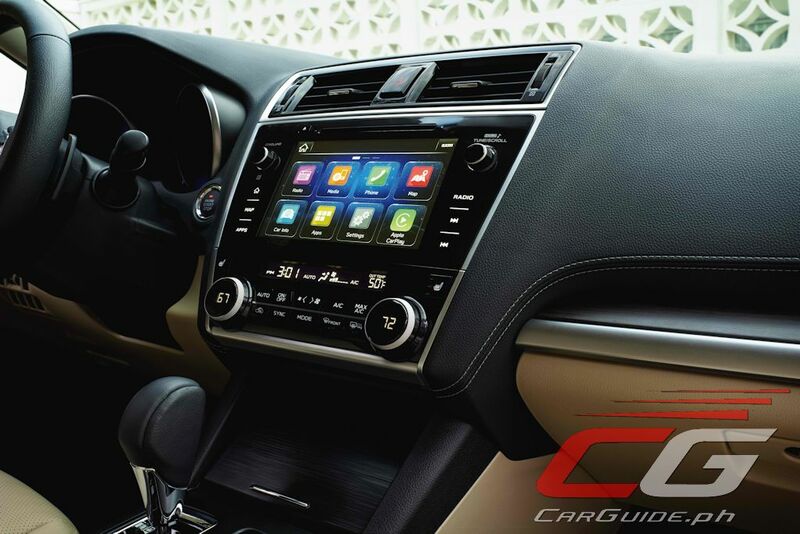 The air conditioning system has also been improved to cool the cabin quicker and more evenly while temperature setting indicators located in the control dials offer more intuitive operation. Building on Subaru’s reputation for safety, the 2018 Legacy is now offered with Reverse Automatic Braking (RAB) and Steering Responsive Headlights (SRH). RAB can detect objects in vehicle’s path and convey audible warnings to the driver, including showing distance and position of the object in the center display screen. EyeSight Driver Assist technology is also available packing technologies such as Adaptive Cruise Control, Pre-Collision Braking, Vehicle Lane Departure Warning, and Lane Keep Assist. It now adds Blindspot Detection/Rear Cross Traffic Alert and Lane Change Assist too. Finally, automatic door locks have finally made their way on the Legacy. Subaru makes great cars, utility and function are tops. But pricing for parts that isn't to different from other Japanese car makers is insane. Not sure if its just Motor Image, since after sales is also not good. After sales is just absolute crap. That's why take your Subies to places like Fuzion.